Blindness - it is such a terrible thought - having a "black" world where you often need to rely on someone for many daily tasks that sighted people don't have a problem with. Can you imagine what it would be like to have to feel your way around? I see it with my blind dog who, although I do not shift any furniture, every now and then he will just bang into furniture that has been there for years. Having glaucoma myself, this is a subject dear to my heart as over the years, my eyesight has deteriorated despite best efforts of specialists. There is much the scientists can do to help find relief and possibly even cure, as there are several diseases that can cause blindness. They describe themselves as "Seeking a cure for retinitis pigmentosa and allied diseases." And so as to get it exactly correct, I am quoting their words when they say "The retina, at the back of the eye, is a thin sheet of interconnected nerve cells including the light sensitive cells (rods and cones). It is here that light is converted into electrical signals to the brain where "seeing" takes place. In RP the rod and cone cells degenerate. Depending on the type of RP, the rate of progression varies. There is no cure at this time." For this, and several other reasons, funds are continually needed so that scientists and doctors can continue in their research and learn how to better manage these diseases. You can see more about this here and what a wonderful website this is where, at the top, it allows you to make the whole font larger and with different backgrounds. On this site you can see what it is like only to be able to see "part of the world". 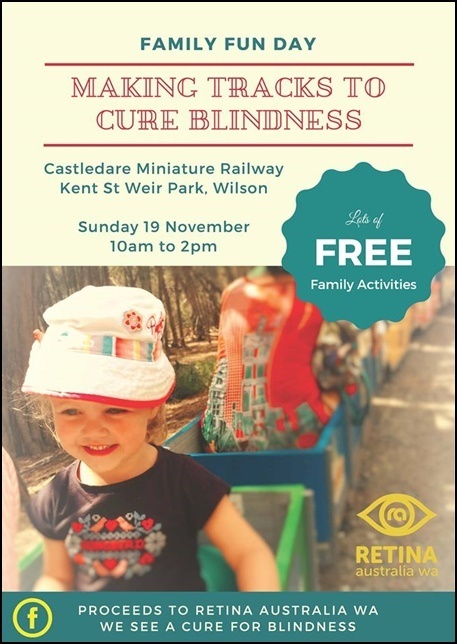 The Retina Association, with the support of the City of Canning are holding a FREE family fun day with lots of activities for the children, and it will be held at Casteldare Miniature Railways which means children can have rides in the miniature trains! 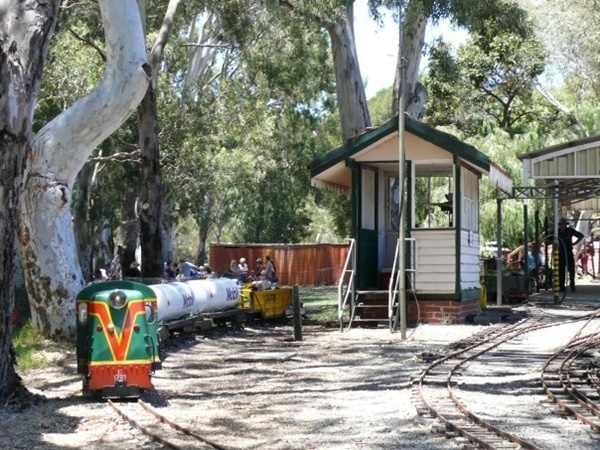 The miniature railway runs along the river and through picturesque parks and bush-land. 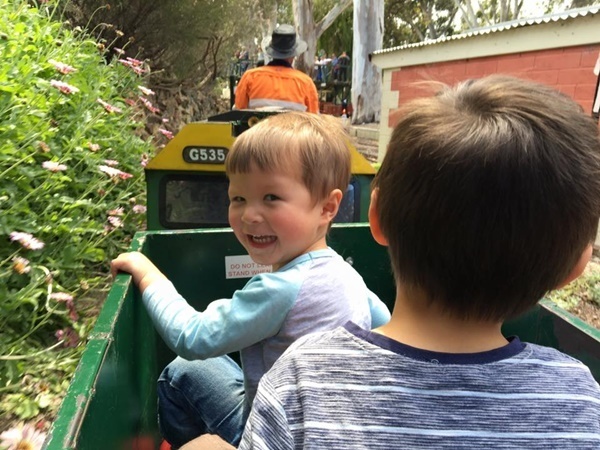 Other things include face painting, rides and entertainment for the children, and there will be food tracks as well, so no one will go hungry! And remember - all proceeds fund research that will enable treatment, prevention and cures of inherited retinal diseases causing blindness. So make sure you mark this event in your diary/phone.